I want to prepare FC Cincinnati fans in advance, this post is going to sing the praises of a man most of you despise. And fair enough, from an FCC perspective, that’s the correct perspective to have of our rival's manager. This is a man who hasn’t exactly warmed himself to the FCC faithful. But this blog post is a bigger picture view of something that I think is worth talking about. James O’Connor is the manager who has led Louisville City FC from the beginning of their club’s history. For FC Cincinnati fans, he’s THE villain. For Louisville City fans, he’s frankly the reason why anyone cares about their team. A brilliant tactician who can squeeze more talent and energy out of a lineup than a Finnish hydraulic press can get joy out of a candle. And despite impressive performances in the USL playoffs, including winning it all last year, he’s still at Louisville, coaching on a baseball field. Why? Well first off, let’s learn a little about James O’Connor. He was a stalwart in the English Championship and League One. He was a solid midfielder for teams you’ve actually probably heard of like Stoke City, West Brom, Burnley, Sheffield Wednesday, and finally wrapped up his career in the USL with Orlando City. And he wasn’t exactly a journeyman either, he had teams actively bidding to bring him in, so he’s no slouch of the game. In 2013 he took on the role of player-Manager for Orlando before eventually moving on to Louisville. Which lets me point out something that always bothers Louisville fans: they were supposed to be Orlando City B. They are in USL playing on Orlando’s old league license. In fact, that’s where their color purple came from, and probably why O’Connor was sent to Kentucky to coach. Fortunately for soccer, that didn’t quite pan out and Orlando launched their own team for a few years before shutting down the B team for the 2018 USL season. And O’Connor has been amazing. I know, as an FC Cincinnati fan, it hurts to admit, but the guy has been incredible. Louisville City is, for lack of tact, poor. Their ownership is stuck in a bad lease at Slugger Field that prevents them from making very much money off the gameday experience. Which is probably why they tried to monetize their supporters march last year. Oops. They do not spend a lot of money on their roster, and because of that they are extremely limited. In fact last week they had two goalkeepers on their bench in order to have a full bench. And that wasn’t the first time this year they’ve been forced to do that. On top of that, it seems Louisville always seems to be sent FC Cincinnati’s cast offs There was no room for old, slow, Pat McMahon on FCC’s reloaded roster, so he was literaly sent down the river. And he went and had the game of his life against FCC in our home opener, shutting down the attack on the wing. Or the one that hurts the most, local product Luke Spencer was forced out of John Harke’s team before the 2017 season. He landed on his feet in Louisville though, with 11 goals in 30 appearances and lead Louisville in scoring. And that’s the thing about O’Connor, players develop under him and become so much better. Recent departures like Chandler Hoffman and Mark-Anthony Kaye have gone from Louisville to signing MLS contracts. Kaye can now be seen marshaling the midfield of a star-studded LAFC midfield on Fox Sports and ESPN every weekend after having played for Louisville last year. The talent that is being cultivated by O’Connor on a cash-strapped team playing on a minor league baseball field is incredible. They are a perpetual winning machine. Which brings me to the whole point of this. Why the hell is he still at Louisville? 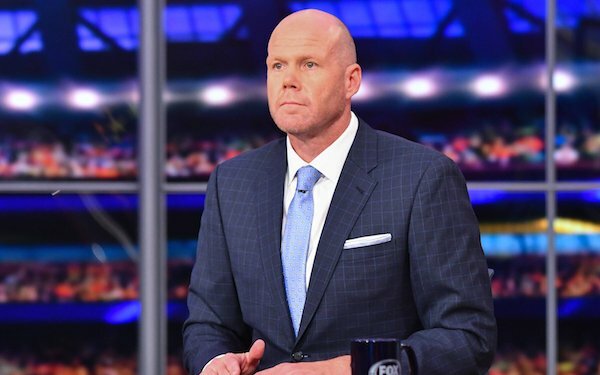 New England Revolution brought in Brad Friedel this year, a guy that had an impressive goalkeeping career in England no doubt, but had only ever managed the US U-19s before the Revolution. Or Colorado Rapids, who hired a man last seen not getting New Zealand to the World Cup. Two teams which can be found towards the bottom of MLS standings, hired coaches that don’t have club coaching experience, and are being rewarded with lackluster soccer. I promise you, James O'Connor would take either of those teams to the MLS playoffs this year had he been hired. Meanwhile in the tiny pond that is the largest city in Kentucky, there is a massive fish waiting to get the call up. Want to run a sick experiment on a professional sports franchise? Put a TV analyist in charge of the team. Or at least, I think he's waiting to be called up. It is always possible that O’Connor has no ambition, has no desire to move on up the coaching ladder. But the fact that he currently holds the highest coaching license you can have from UEFA (Europe) would suggest he has higher ambitions than the US second division. When James O’Connor gets his chance in MLS, that will a fantastic indicator that soccer is growing in the United States. USL should be a breeding ground for, not just young players, but new managers to move up to MLS. There is a terrible lack of American born coaches working at the highest levels of the sport, and opportunity has been a huge roadblock. But if a second division manager can go on to have success in the top division in the US, it will be to the benefit of every other coach in the US and to the development of the sport in this country. Now obviously O’Connor isn’t American, but he would be a solid candidate to move up and make it easier for other, American, lower division coaches to get their chance. And if you are a Timbers or Cosmos fan you’ve probably already fired off that tweet, and I agree with you, Gio Savarese is also in this category. For those of you not familiar, Savarese was the longtime manager of the NASL New York Cosmos who did incredible things with that squad. But for me, O’Conor has been doing more with far less. In fact, I’d be willing to bet Louisville’s squad payroll is/was equal to about 1.5 Cosmos players. And to my knowledge O’Connor hasn’t even been rumored for an MLS job. The battles between Cincinnati and Louisville have been epic, and it's high time O'Connor took that intensity somewhere else, please. So while this might come across as a fan of a rival team desperately asking for someone to hire away the coach of their more successful rival, and you wouldn’t be wrong in the slightest, I do think it speaks to the growing nature of the game in the US that a successful second division manager isn’t being considered for jobs in the top division. Anywhere else in the world and O’Connor would have 1) been managing Louisville this year in MLS, or at the very least 2) been poached by an MLS team and been handed a few million dollars to build the squad of his dreams. If you want soccer in the United States to thrive, we need a thriving second division that is a clear pathway to MLS. And if Promotion and Relegation is off the table, the talent in the second division needs to start finding its way up regardless.